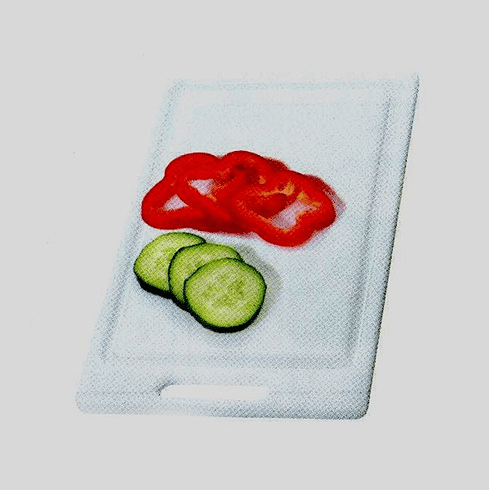 Polyethylene Cutting Board. Ideal for cutting, slicing and chopping. Reservoir collects excess liquids and the easy to grip handles can also be used for hanging storage. Measures 9.5"x15.5"